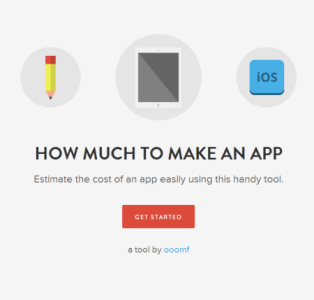 OLAMI Resources / Featured Posts / FREE Resource: How Much To Make An App? FREE Resource: How Much To Make An App? A number of years ago, mobile apps used to be something that were designed only for Fortune 500 businesses with large budgets. Nowadays, everyone seems to have an app in an effort to reach their constituents. Is your shul or school looking to build an app? Several months ago, we highlighted (see here) some of the top ways in which small companies and non-profits can create their own apps for free or at a very low cost. However, most of these methods revolve around transforming your existing website into its own app and using it as a template for the smartphone app. Recently, we were asked about what can be done if you don’t have a website. 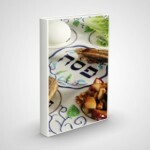 Where would you start if you have this awesome idea of an app that is missing and will really impact the Jewish world? Or, you want to create an educational app like the one that we recently featured here. You want to get it out there! But how should you get started? After all, as a busy rabbi and educator it’s very hard to investigate what is financially and technically involved, and you never know if you should fully trust what you are told by one company or the next. To connect your creativity with professional knowledge and know-how is one of the goals that the startup Ooomf pursues. They offer a free site that will give you a clear breakdown of the estimated costs of your app. With this knowledge in hand, you’ll be able to really determine if this is something that you want to pursue. In only ten easy steps, a layperson can get an easy-to-read overview of how much an app with your desired features costs. There are many options to choose from, such as device, type of interface, required login system, and a few others. Please note: the total you receive in the end is just an estimate, but it might give you a sense of direction of what kind of budget you should be expecting or seeking for such a project.